Piracy and armed robbery incidents reported to the IMB Piracy Reporting Centre during 2011. Map courtesy of International Chamber of Commerce. Criminal Justice for pirates has become a truly global affair, utilizing diverse state resources to funnel pirates through a limited number of regional states in East Africa back to their homeland of Somalia. More specifically, the UN’s preferred option for prosecuting Somali pirates will be national prosecutions in several East African states (Seychelles, Mauritius, Kenya, Tanzania) as well as in several semi-autonomous regions of Somalia (Somaliland, Puntland). Prosecution in European states and the US would remain a backup plan. But this is only one piece of the criminal justice apparatus. Police functions in the Indian Ocean will continue to be performed by a combination of naval coalitions such as NATO and EUNAVFOR and by individual naval states with interests in commercial shipping through the high-risk piracy corridor (including the motley crew of the U.S., India, China, Iran, and others). At the other end of the criminal justice chain is the prison system where there is currently a bottleneck. In this regard, the United Nations Office of Drugs and Crime is in the process of refurbishing and building new prisons in Somaliland and Puntland to house convicted pirates. This solution has several benefits as compared with the other solutions outlined by Jack Lang in January 2011. 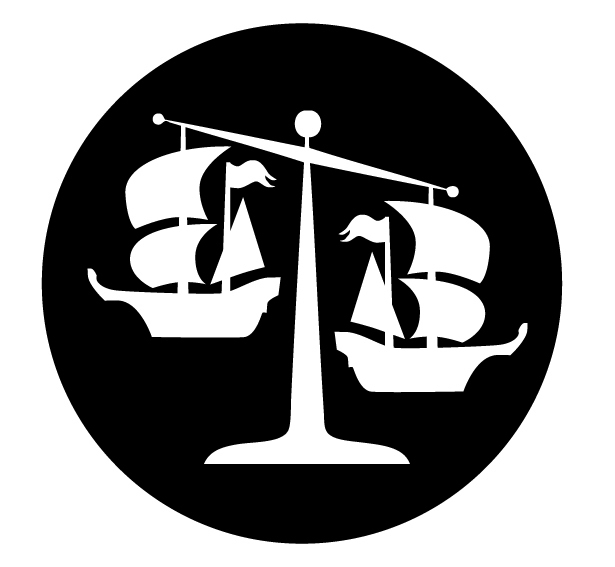 Prosecuting pirates in multiple regional states creates redundancies, so that if one or more courts prove incapable of continuing prosecutions, other options remain available. For example, Kenya recently stopped all of its piracy prosecutions due to a High Court decision ruling Kenyan courts did not have jurisdiction over piracy offences. Likewise, the Seychelles recently refused to accept pirates from a Danish ship because there was no guarantee that the pirates, if convicted, could be sent back to Somalia (for lack of prison space) and because the Seychelles’ limited judicial capacity. In situations such as these, other states might serve as back-up solutions so that prosecutions could be directed elsewhere. Another advantage of this proposed solution is that it has the benefit of building local capacity. Instead of directing resources into a foreign institution, providing support to local courts and local prosecutors promises to increase the capacity of regional state institutions to address criminal justice issues beyond piracy. The report also raises hopes that the financiers and organizers of piracy can be adequately addressed by East African states. In relation to Mauritius and Seychelles in particular, the report highlights the capacity of these states to prosecute inchoate crimes such as conspiracy, incitement and attempts to commit piracy. The UK and the Netherlands are funding a Regional Anti-Piracy Prosecutions Intelligence Co-ordination Centre (RAPPICC) in Seychelles, in part, for this purpose. This capability will be crucial in order to bring to justice those individuals who organize pirate enterprises, but never step foot on board a pirate vessel. However, the report and the plan are lacking in several respects. First, the cost savings of this plan have likely been exaggerated. There is no final accounting provided in the UNSG report. But a cursory survey of the various costs associated with refurbishing courtrooms, providing expert assistance, hiring additional judges and prosecutors, conducting trainings and, especially building prisons, shows a quickly rising price tag. Combine this with additional unspecified costs that would likely accompany this proposal such as rule of law, general training, and governance projects and the costs may actually be about the same as a hybrid tribunal such as the Special Court for Sierra Leone or the Extraordinary Chambers in the Courts of Cambodia (about $40 million each annually). In any event, the proposed solution’s budget is modest compared with the sums that are currently being dumped into unsustainable solutions that fail to address the root of the problem. In addition, the UNSG report apparently hazards some guesses as to the potential of its proposed course of action. 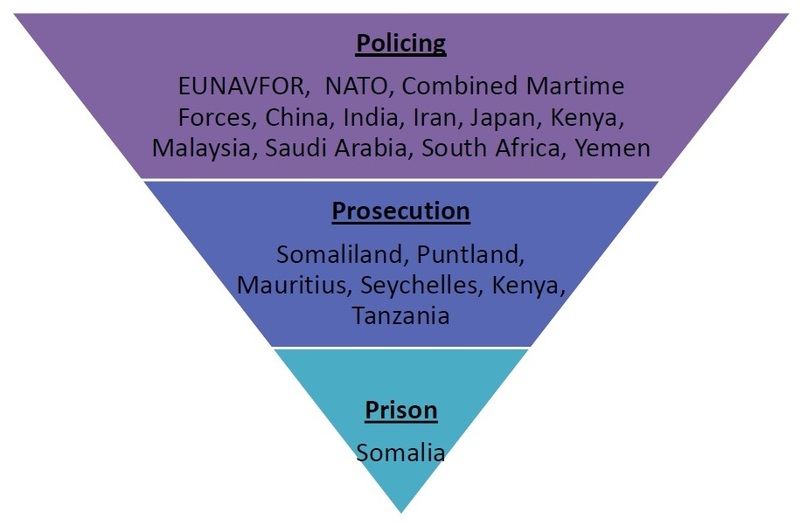 Despite the different conditions in each country or region, the report indicates that Somaliland, Puntland, Kenya, and Mauritius will be capable of performing piracy investigations in 20 months and within two years would be able to prosecute 24 cases of 10 defendants each. These are good benchmarks to evaluate the success of these projects. But it is hard to believe that they are realistic assessments of local conditions. The report evaluates the local capacities of each state/region indicating the number of prosecutors and judges in each. But it fails to compare these numbers of professionals to the actual populations that they must serve. Three hundred and five (305) Prosecutors in Tanzania seems to be a significant number compared to the 36 prosecutors for the whole of Somaliland. However, Tanzania’s population is 43.5 million and the population in Somaliland appears to be around 3.5 million. Therefore, the number of prosecutors per capita in Somaliland (1/10,000) is higher than in Tanzania (1/140,000). 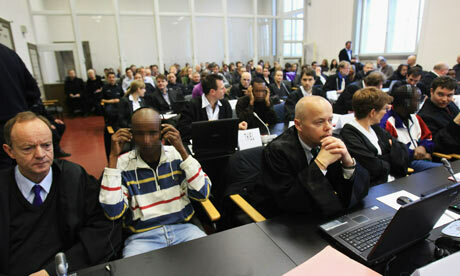 In addition, only 10 Tanzanian prosecutors would be in charge of piracy prosecutions. Likewise, the report fails to take into consideration the caseload of the respective prosecutorial groups that would be responsible for piracy prosecutions (i.e. the number of cases each attorney is responsible for, thereby dictating how much time they would have to devote to piracy cases). This suggests the projected capacities are not based upon a realistic assessment of current capacity. More importantly, the report acknowledges that it was unable to predict with any accuracy the number of piracy cases that would likely proceed to trial. That is, how much prosecutorial and penal resources will likely be required in the next few years. Due to the volatility of Somalia, the changing tactics of pirates and of commercial vessels responding with various self-defence measures, an accurate assessment in this regard is quite difficult. 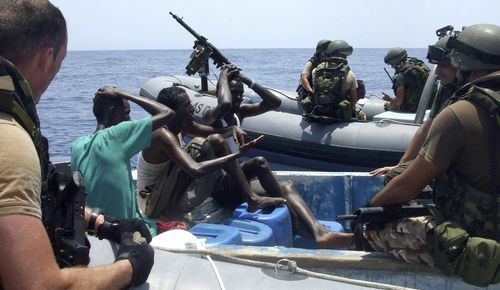 However, the report suggests that anticipating the numbers of piracy suspects likely to be apprehended at sea and transferred to regional states for prosecution was not possible because no information was available as to the reasons for the release of piracy suspects from the numerous states conducting naval anti-piracy missions in the Indian Ocean. It is unclear why the UNSG was unable to obtain this information from various member states of the United Nations. But it has certainly left a conspicuous gap in the report’s findings. Finally, the report ends without any recommendations as to how to prevent recidivism, including programs to retrain Somali prisoners and integrate them back into the community. In this regard, the proposed solution is short-sighted, enabling the relocation of pirates back to Somalia, but providing no real long-term preventative measures. The only permanent solution to piracy is a stable and economically prosperous Somalia. Hopefully, the London Conference can initiate positive reforms in this regard as it is widely accepted that the solution or piracy resides on land, and not at sea. Billed as adopting the recommendations set out in Jack Lang’s report, the resolution calls for another report within two months on the modalities on setting up an anti-piracy court outside of Somalia. 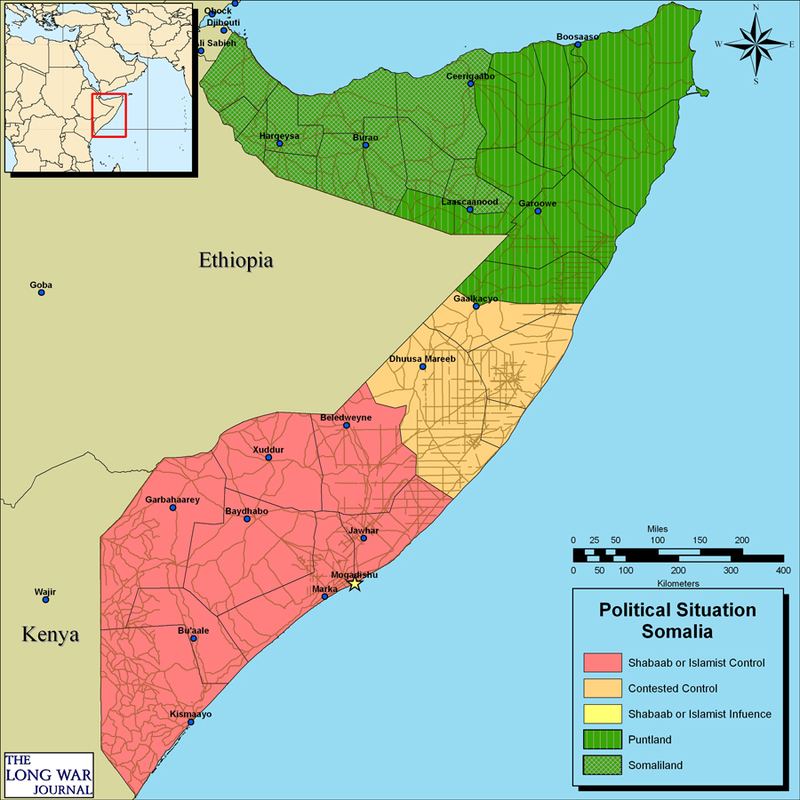 The resolution also attempts to address some of the underlying causes of piracy by “[requesting] the Secretary-General to report within six months on the protection of Somali natural resources and waters, and on alleged illegal fishing and illegal dumping, including of toxic substances, off the coast of Somalia” since “allegations of illegal fishing and dumping of toxic waste in Somali waters have been used by pirates in an attempt to justify their criminal activities.” So…the wait for a comprehensive solution continues. In the meantime, national prosecutions fill the void. In what appears to be the first case of its kind, the U.S. has arrested a Somali on Somali soil, alleging he was involved in negotiating a ransom of hostages. This is an attempt to prosecute not only pirates who execute attacks, but also those who finance, plan, organize, or unlawfully profit from pirate attacks. This prosecution will provide some interesting legal precedent as to the definition of piracy. Did this man finance, plan or organize the attacks? or was he just another middleman conversant in technology and English? In any event, it will be interesting to see if the FBI attempts to leverage this prosecution into higher levels of the criminal organization. China, as president of the Security Council this month, plans to lead a meeting on March 10 to call for a more comprehensive international strategy for dealing with political instability, piracy and the threat posed by the Islamic al- Shabaab militia. Secretary-General Ban Ki-moon is scheduled to brief the council on the latest developments. This is a follow-up to Jack Lang’s report of 25 January 2011 which was the subject of a previous post. At that time, Lang was hoping for a Security Council Resolution by the end of February. With all of the events in Egypt, Tunisia, Libya, etc., the SC has had its hands full. Notwithstanding other pressing issues, apparently China saw fit to add piracy to the schedule. identify any additional steps that can be taken to assist States in the region, as well as other States, to prosecute and imprison persons who engage in piracy; and explore the willingness of States in the region to serve as potential host for any of the options for potential new judicial mechanisms set out in the report of the Secretary-General. One of the options discussed by the Report, and which has been favored as a practical matter until present, has been to provide financial support to States within the region to prosecute suspected pirates in their national courts invoking universal jurisdiction. In this regard, the UN Office for Drugs and Crime and other donors have provided $5 million to refurbish the Shimo La Tewa court and prison in Mombasa where the suspects were being tried by Kenyan prosecutors. The Seychelles has also started prosecuting pirates in its national courts with some assistance from the UN. Despite these efforts, Jack Lang, says that 9 out of every 10 pirates captured by marines are freed. 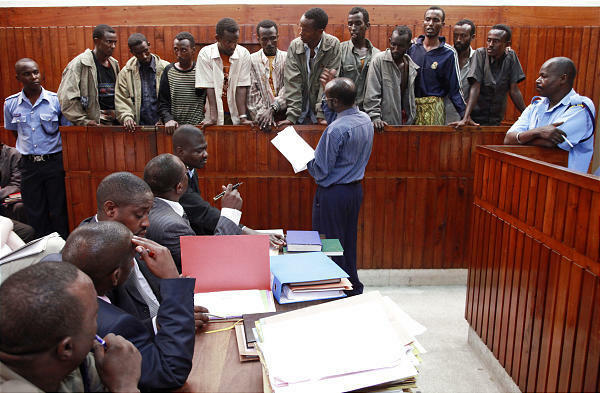 Furthermore, in November 2010, the Kenyan High Court held that the Kenyan penal code does not give Kenyan courts jurisdiction over piracy on international waters, rendering in doubt any convictions obtained to date and casting a shadow on further efforts to prosecute suspected pirates in Kenyan courts. The question now is what measures Jack Lang will propose. He hopes for a Security Council Resolution within three to four weeks.